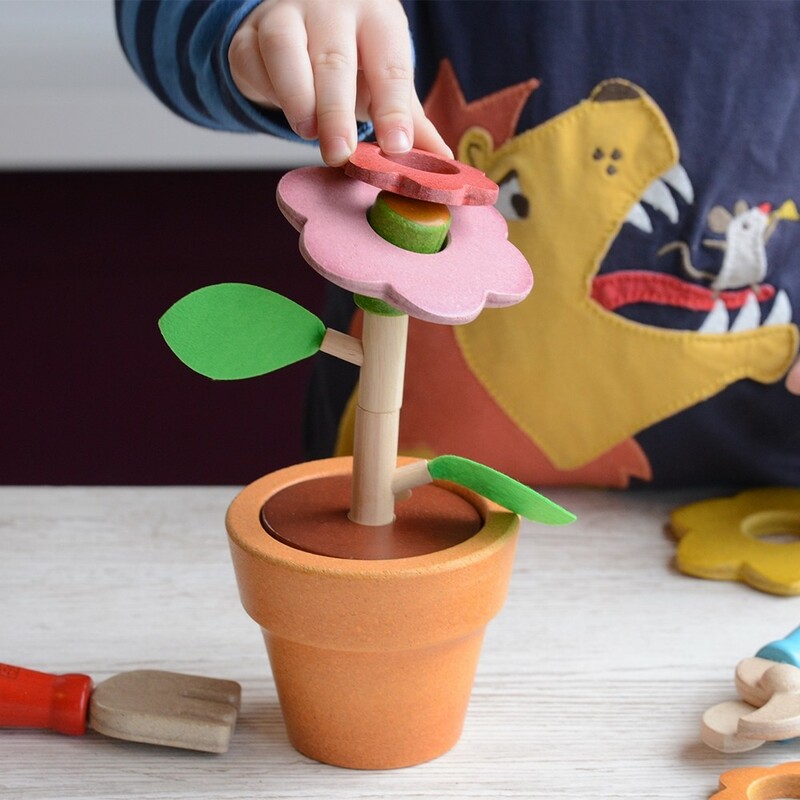 This is a colourful and engaging flower toy that lets children create the different stages that a plant goes through from seed to full bloom. 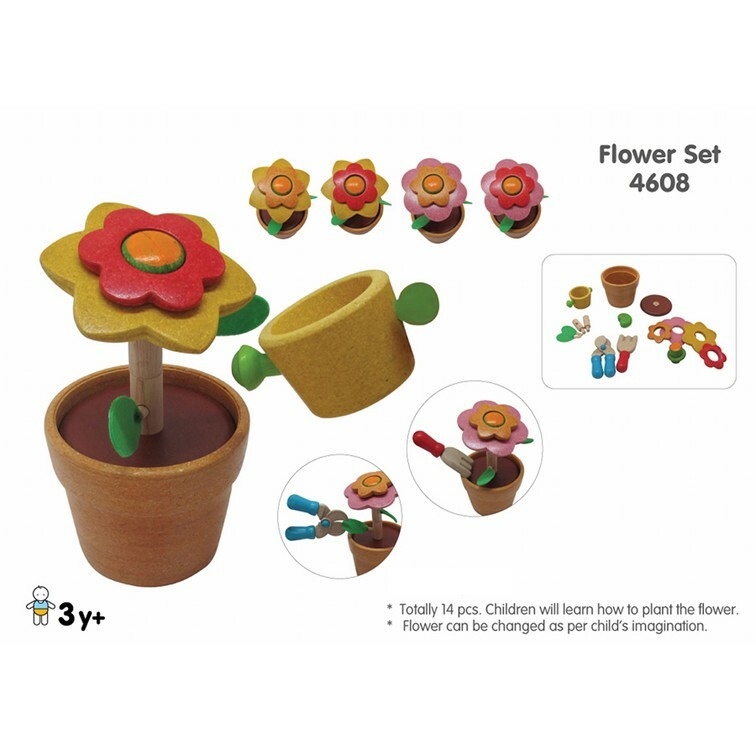 This set comprises of a flower pot, seed, soil, trowel, stackable stems, leaves, petals and watering can. 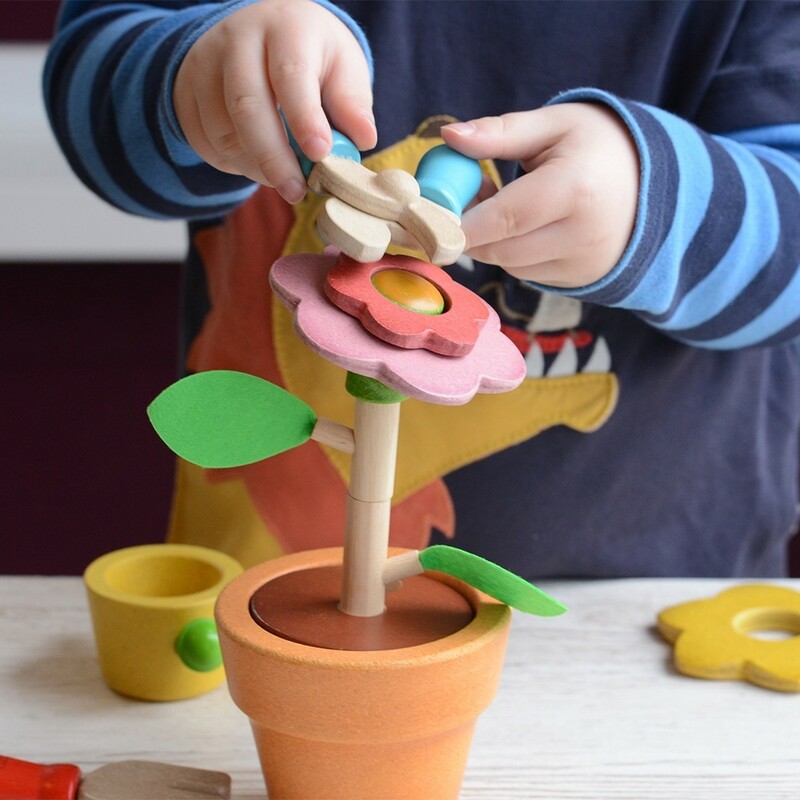 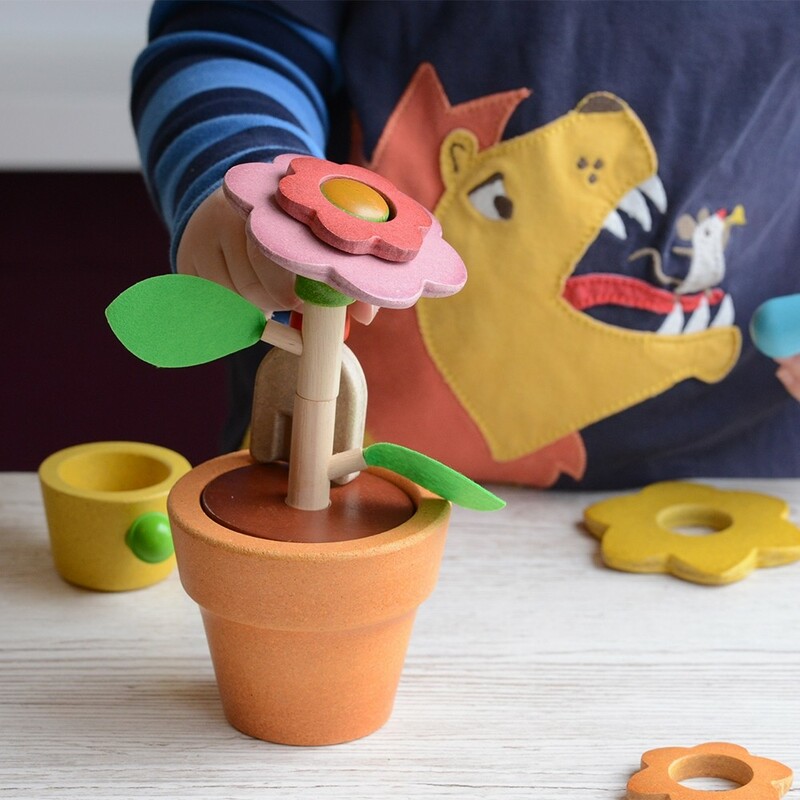 Children can build their own wooden flower which will increase their enjoyment of planting real seeds in the garden. 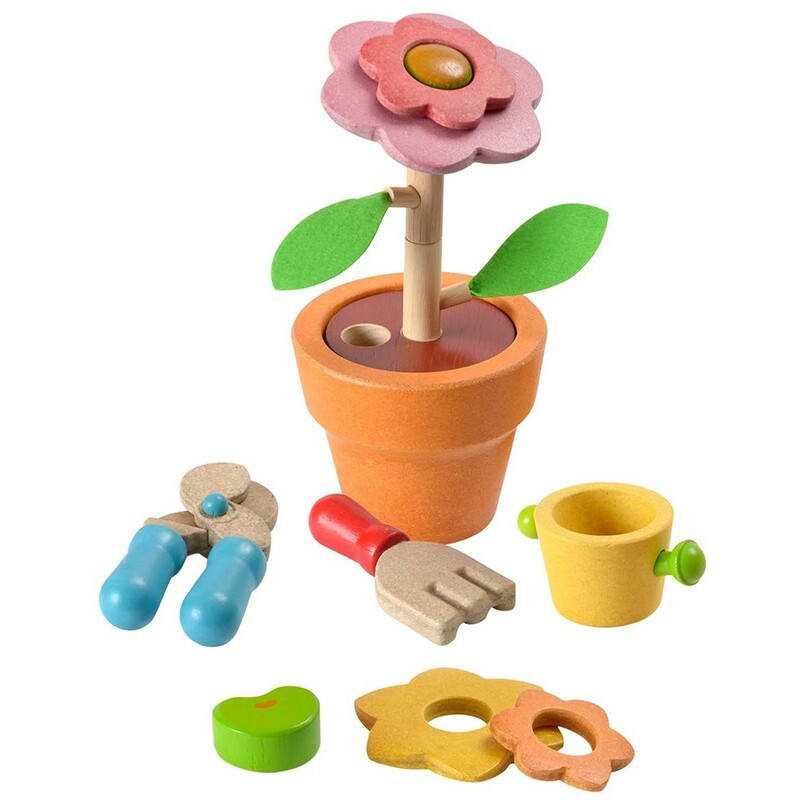 15 wooden pieces in total. 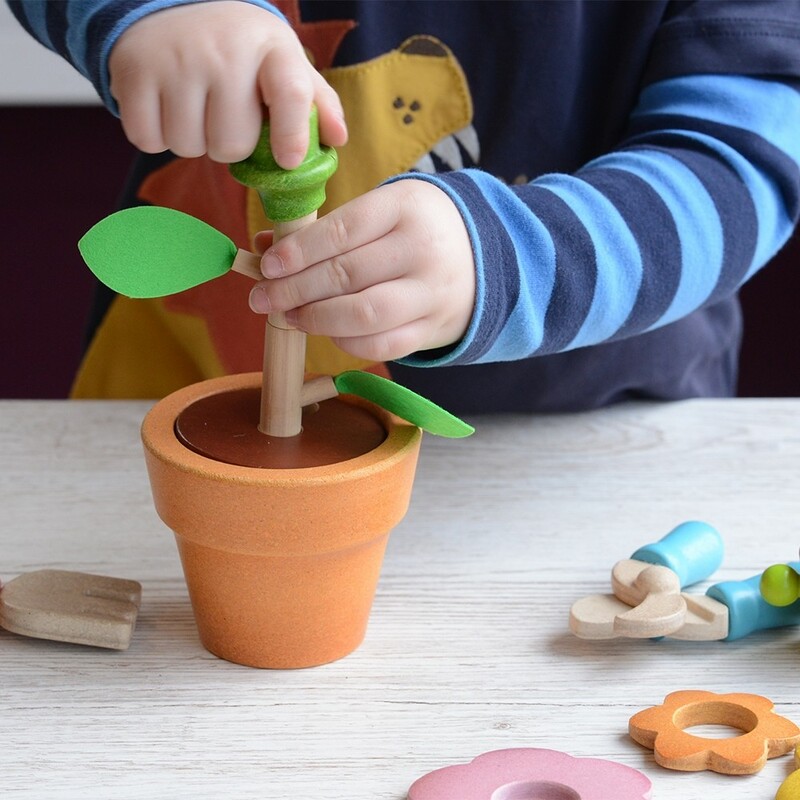 Plan Toys eco toys are made using non toxic e-zero glue, water based non toxic dyes, organic paint, chemical free rubberwood and recycled materials. 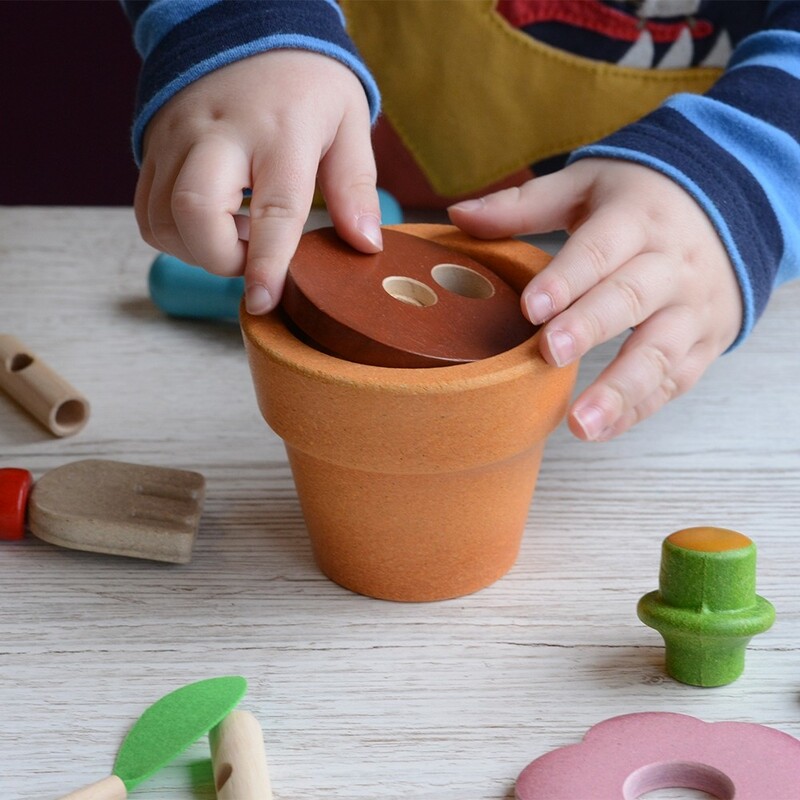 Plan Toys is dedicated to enhance every aspect of a child's development and safety through a mindful selection of materials and processes that provide sustainable play.